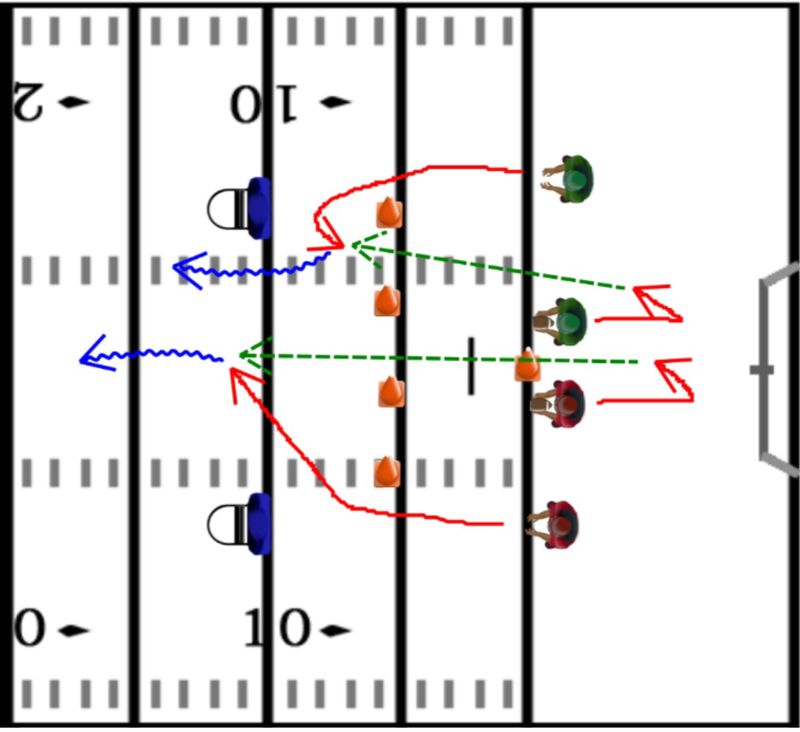 Practice timing and route running, two of the finer aspects of the passing game, that are going to help you bring your percentage way up, and your interceptions way down. Put the receivers on opposite sides of the field. On the one side, the receiver will run a slant, going about 5 yards and cutting up the field diagonally, dragging the safety deep. The other receiver will be running a hitch, curling in just underneath the deep zone of the same safety, and between the seam of the two middle linebacker zones. 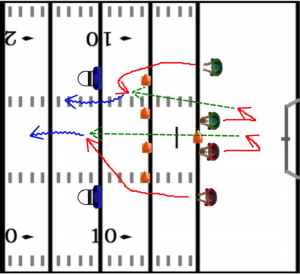 If you haven’t had a chance to work on reading coverages with your quarterbacks and receivers yet, make sure you check out this point on reading the defense presnap!